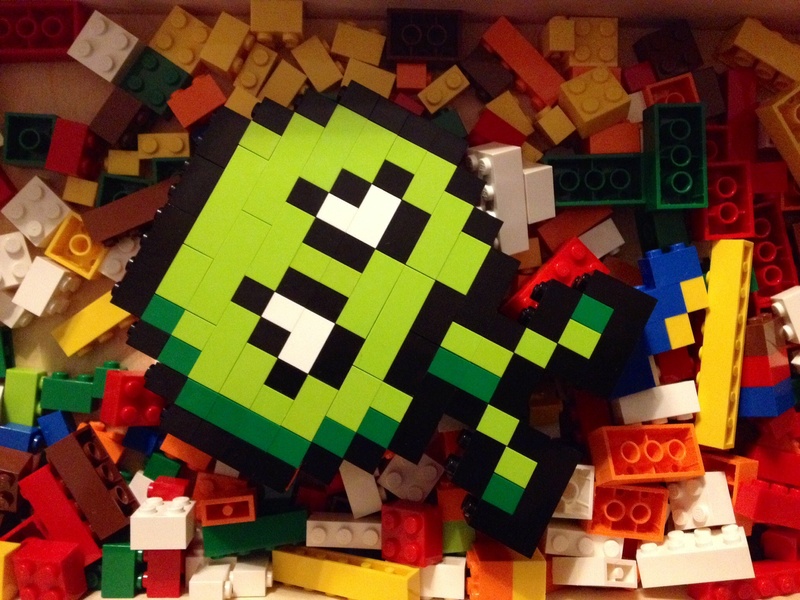 Super Scrapped Robot is a retro action twin stick shooter in 4 shades of green! Directly after the Jam Malte wrote the first iteration of the touch controls and somehow they worked for us enough to convince us that the game could be played on the iPhone. I have a post for the controls in the working, where we will look in much more detail what we did and what we think works for a twin stick shooter on iOS and what not. Full development on the game started in november 2013. And when I say full development I mean half a week of work from me, Philip and some days a week of work from Malte. Both of us live in different cites, Bremen and Erfurt at the time, and we kicked of the development with a week long workshop with us two. There we defined what we wanted from the game and what should be added or changed. Of course there was much to add to the game. To us the game was a serious experiment. We wanted to see what we are capable of and whats possible in what time. It's not our first game, but that doesn't mean there is nothing more to learn. It's the opposite. Maybe you heard of Steamclash? Chances are big that you haven't. It was our first released game we tried to sell. Not much people did. But some, and we got only positive feedback about the game, which was great. You can get it here, it's free now: http://steamclash.com/ It's still a nice two player game, but is missing a single player mode. But it's balanced and fun, so give it a try. The first date I picked out to release the game was at the end of the year 2013. We missed that date by half a year. I know now how big games get rescheduled and am in awe that most of the time they still get released on time. I don't know how they do it. When you have a concept that works it's so easy to add stuff to it. It's not easy to find out what works and what not. And it's hard to cut away stuff you spend time working on but somehow doesn't benefit the game. Focus is hard. It's hard to measure work time, but it terms of commits 547 where made in 2013 and 1215 in 2014. Thats a lot more then we wanted in the first place, but something we needed to do to get the game where it is today. And even now you could think of the game as not finished. When is a piece of software ever finished? There are bugs to fix, quests to add and weapons to balance. There is no end if someone keeps working on it. Yesterday we submitted the first Update to Apple and more will surely follow in the future. We developed the game in the browser. Impact helped us with that. 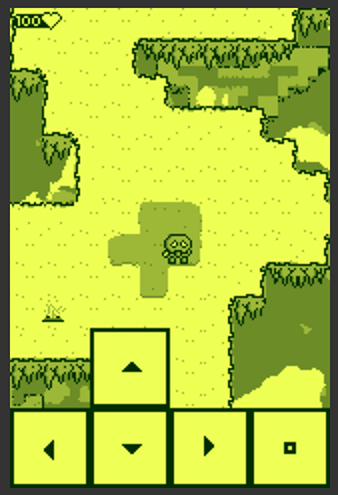 To get the game working on iOS we used Ejecta and node-webkit for the native versions. node-webkit was especially nice to work with, cause it's just a headless browser and behaves exactly the same. Ejecta took some more time, but thats because of touch controls, Game Center and IAP. It's funny how much the technical possibilities are tied to the way we wanted to sell the game. From Steamclash we learned that releasing a nice little game as a nobody for a price without marketing doesn't work. So we wanted to make a prestige project of Super Scrapped Robot, but still try out how to get money. Because without money it gets hard to concentrate on doing more games and thats not a future I want to live in. We went the way of least technical resistance. Browser: completely free. It's hard to put a website behind a paywall, you need some sort of user system etc. Nothing we wanted to do and this way we have a great demo that consists of the full game. Native: Pay what you want, starting from 1$. Putting a download behind a paywall is easy thanks to itch.io. iOS: The game is free, but some feature are behind one IAP. We know that IAPs are bad, so we only put optional stuff behind it. Ah, and you can pay what you want for it. I didn't think that Apple would allow the pay what you want IAPs, but they did. So, what happened in the last week and a half? To our surprise one member of the TouchArcade forum found our game and started a thread about it. We didn't even know that Apple had released our game yet. And people seemed to like it. Somehow there was stuff happening, people doing youtube videos and smaller sites reporting that the game is out. There were even some who purchased the IAP and not all of them chose the smallest one. In it's first week Super Scrapped Robot made more then Steamclash in it's lifetime. Which is still not much and doesn't cover the cost we put into the engine and the Apple iOS Developer Programm, but it's a start. Till today we got two reviews, one on TouchArcade about the iOS Version and one on GamePlayersReview about the browser Version. It's totally awesome that both of them took the time to review our little game. So again, thanks for that! Yeah, writing an daily extended git log worked really well. Anyway, let's keep it at ”Sometimes I write something, sometimes I don't and stuff happens in between”. That sounds promising, right? I like how the camera moves from an random position to the player. And how the player animation is broken for some stupid reason. Another nice thing that happend to the game was that Adrian wrote some music for it that is really good. The first time I had the music in the game and played it on the iPhone it felt like some real game. Not just some stupid game thingy. The real deal. I remember feeling the same when we implemented the sound effects in Steamclash. For the next project sound should have a higher priority. It's more fun that way. But we will see how that will turn out. We implemented the first Boss. We've got a little problem with the difficulty of the game. For a while now the game was pretty hard, a little bit to hard for full enjoyment. So we lowered the difficulty. Now it is to easy for me, but still hard for Malte. Don't know how we should handle this. The game should be hard, but not frustrating. But finding this sweet spot is not easy. Maybe we know more about this next year, when development continues. It's not that easy to miss, that Scrapped Robot only consists of four different colors. But till today it wasn't. There were more of them. So I wrote a little script to look for bad colors and print them to me, so I can fix them. Now that I write this I could probably automate this, humpf. But anyway, I did the hard work by Hand and fixed all Images that hat faulty colors in them. And there were kinda a lot of them. Today I implemented two new Quests and fixed the one from yesterday. As it happened, I combined two Quests to one in my Head and implemented the it like this. Had to do some rewiring and now they are as they should be. Cause there isn't much to show off today, i'll get some gif's from the archive. For one Quest I wanted some Minions to walk around a Point in a circle. But for some mysterious reasons it wouldn't work. I always got some spiral movement going away from the point. Unfortunately I deleted my test case, but I like my resolution to this, even thou it isn't quite correct. I just connected each entity to the one in front of it, thus forming an circle like movement. While doing this I ran into some Timer issues which resulted in some nice patterns. So, there is the first one. Let's hope I can keep that up for every day. This is more like an extended Git Log than anything else. But yeah, here we go. 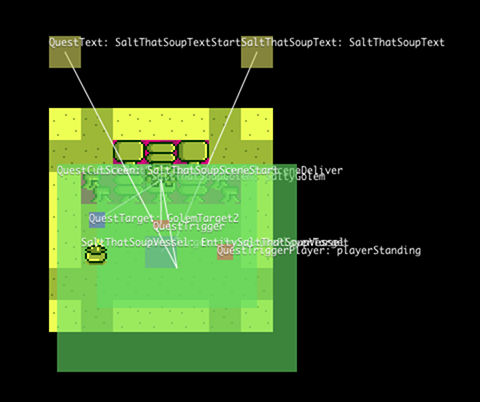 The thing I really wanted to do is implement another Quest, which is internally named Salt that Soup though there is no Salt involved. The whole thing proved to be more complicated that I initially though. Getting the CutScenes and States right was a bit messy, but it works now. Now the whole thing needs more polish.